04 Aug 2016, Thursday. After a good night’s rest, I felt much better in the morning, and figured that I should be well enough to ride again. 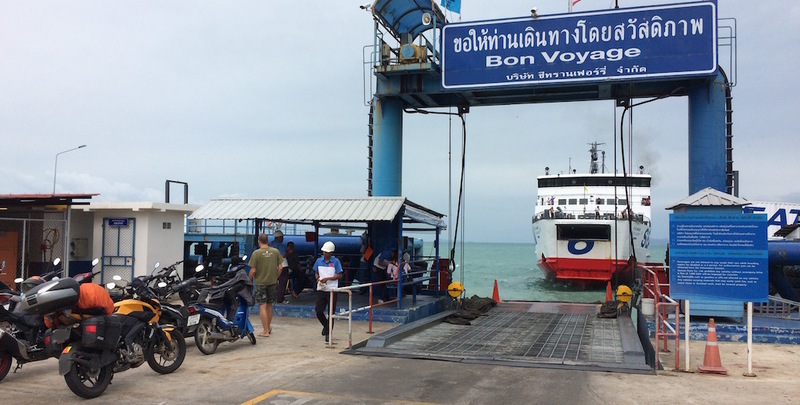 I took the anti-clockwise southern route from the pier to Chaweng Beach when I arrived, and figured that I’d like to see the rest of Samui on the northern side and continued anti-clockwise direction on the ring road to head back to the pier. The 3 Singaporeans I met 2 days ago also took the Raja Ferry to Samui. 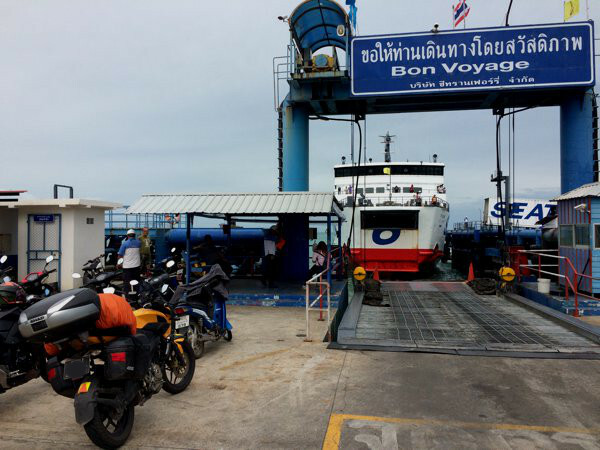 But they intended to leave Samui on the SeaTran instead. 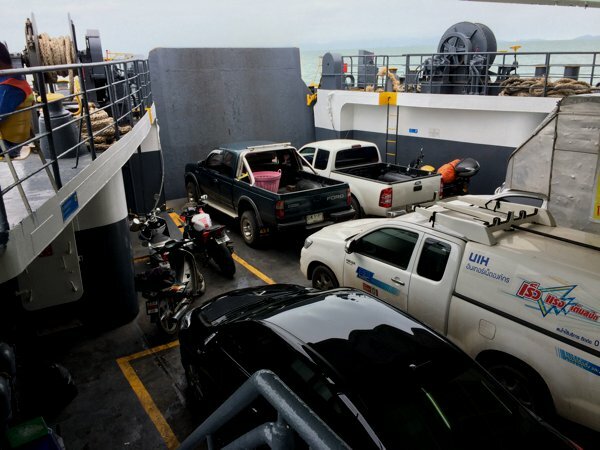 Raja Ferry and SeaTran are the 2 main ferry operators between Don Sak / Surat Thani and Koh Samui. I too thought it’ll be nice to try the other ferry operator back. The SeaTran ferry approaching the pier. This time, instead of the last, I was the first vehicle to board. Heheh. Met a fellow Thai biker with his brand new Kawasaki. He was heading towards Nakhon Si Thammarat with his girlfriend. Can you spot the Pulsar 200NS hiding there? Comparing Raja Ferry and SeaTran, SeaTran’s ferry was so much newer. The air-conditioned cabin is also much cleaner and seats are more comfortable on SeaTran. The only advantage Raja has are reclining seats – the ones on SeaTran are fixed. 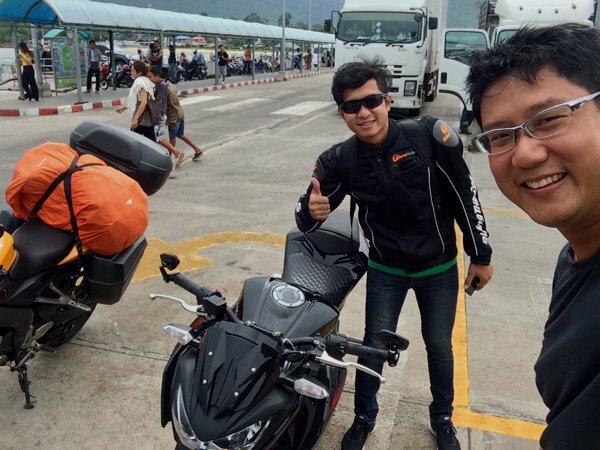 But for both at the same price – 220 baht per journey for 1 motorcycle + 1 rider (pillion pays separately), I’d choose to go with SeaTran if I ever had to head to Samui or Phangan again. I reached Don Sak at 1130h and made my way down south towards Hat Yai. Day 45’s route. 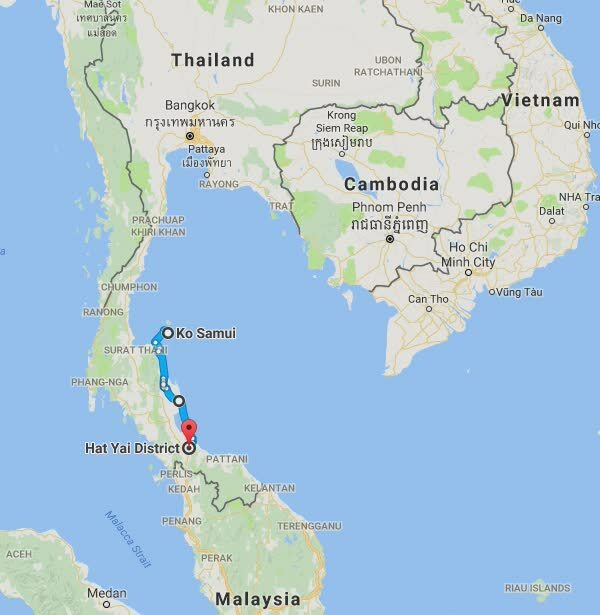 Koh Samui to Hat Yai.